The GM45 is our bare knuckled no frills helmet. We dropped the extras of the GM65 without leaving out what really matters. All of the quality of our premium half helmets in a lightweight low profile package. Coolmax® Removable and washable interior. 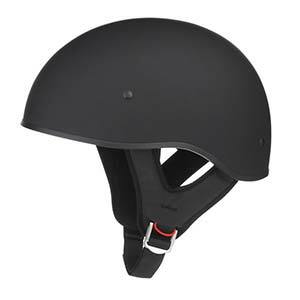 Comfort liner, shell and EPS designed for maximum venting without reducing the integrity of the helmet.